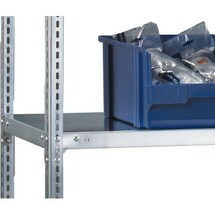 With this shelf rack consisting of a base and add-on unit, you benefit from a powerful solution for a wide range of applications. 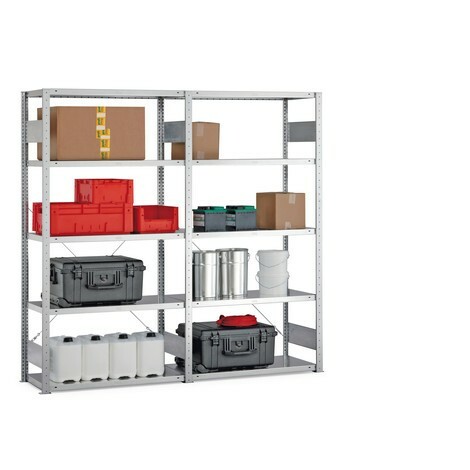 Both the materials and the construction of this META shelf rack satisfy the most exacting demands, providing you with a premium product that will offer you years of reliable service. 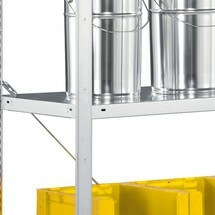 The galvanised surfaces of the frame profiles and shelves remain corrosion-resistant even when scratched. 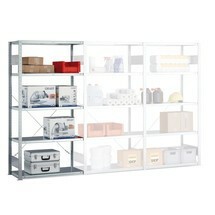 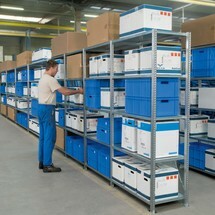 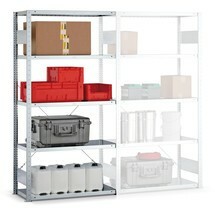 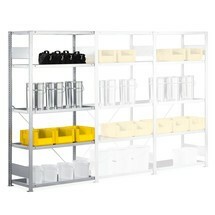 The META rack also offers utmost flexibility by allowing you to adjust the height of the shelves in 25 mm increments. 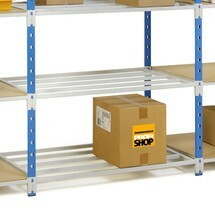 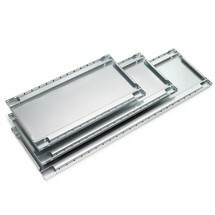 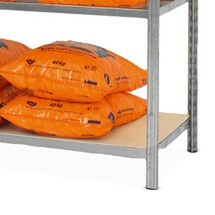 The shelves themselves are made from robust steel plate and retain their shape even when subjected to very high loads. 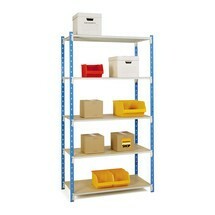 This single-row complete package features rear diagonal bracing for additional stability. 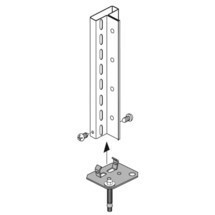 Note that, as of a height/depth ratio of 5:1, your shelf rack must be secured against tipping using wall or floor anchoring. 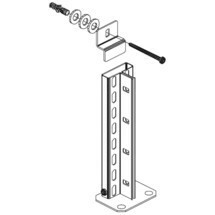 Order the META premium shelf rack with the quality mark RAL-RG 614/1 as a complete package from our shop.